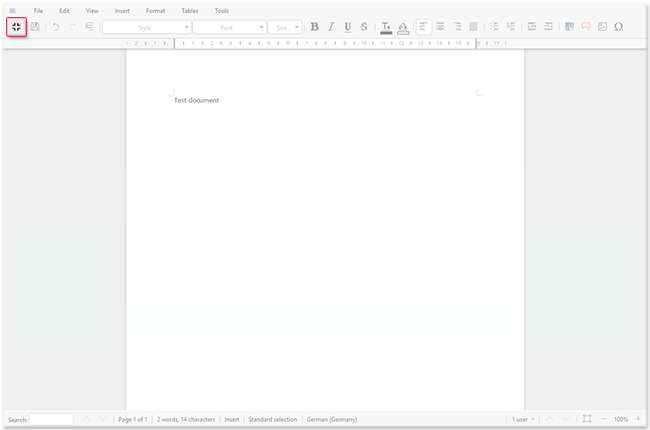 If you want more readability and clarity while editing a document, you can activate the fullscreen mode in Online Office. In fullscreen mode, the GMX navigation bar is hidden. To activate the fullscreen mode, click the Fullscreen symbol in the upper left corner. To deactivate the fullscreen mode, click the Deactivate Fullscreen symbol in the upper left corner.